There’s not a bad poet in first grade. None of them are anything but fresh and original … they don’t know how to avoid being original. When most people think of Children’s Poetry, they think of poems written by adults for kids. They don’t think of children themselves as poets, and it’s very difficult to find any anthologies of poems written the other way—by children for adults, as well as those their own age. But the early years of language development are magical. No other time in life is full of such wonder, such imagination, and such linguistic experimentation. Young poets don’t write out of habit; they haven’t even learned yet how to be cliche. They write with a natural spontaneity that adults can only hope to achieve. Poetry is never more fun than when you’re young, and young poets should be encouraged as much as possible. 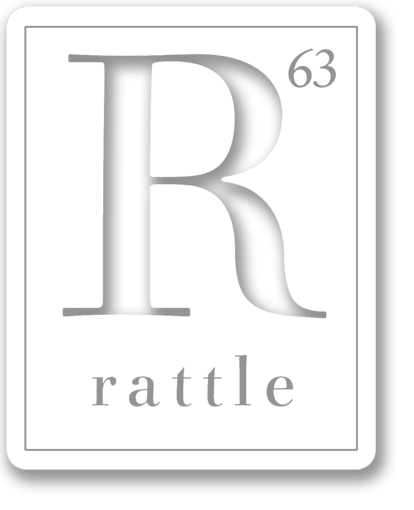 Way back in 1998, Rattle published an issue featuring poems written by children. Unfortunately it is now out of print. Starting in 2013, we’ve extended that idea, and began publishing an annual anthology of young poets. The books are available in print, and all of the poems appear as daily content on this website on Saturdays throughout the year. Every poet contributing receives two free print copies. Please keep in mind that we can’t publish every poem, or even a large percentage of the poems submitted. Our goal is to make this anthology something that’s genuinely worth reading for both children and adults alike. Anthologies from previous years are available for sale, and a new chapbook-length anthology will release along with every Spring issue in March.